Chiropractic is focused on the diagnosis and treatment of muscular and skeletal pain, with an emphasis on the structure and function of the entire human body. The chiropractors at Incline Health are experts in non-surgical spine and joint care. Modern chiropractic addresses conditions that occur in your back and neck such as sciatic pain, muscle tension, sprain and strain injuries, whiplash, acute and chronic back and neck pain, slipped disc pain, arthritis and headaches. 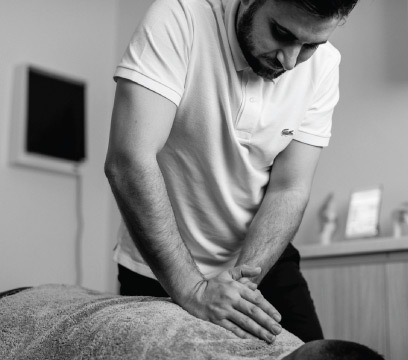 Our solid university background in research allows a tailored treatment with the very latest and most effective spinal care. Traditionally chiropractors would only treat the spine, at Incline Health we treat all the joints and muscles in your body such as your wrist, elbow, shoulder, hips, knees and ankles. This dedicated whole body approach supports a quick and effective recovery for all muscular and skeletal syndromes.